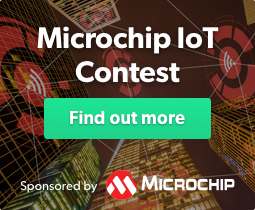 Measuring a compact 4cm x 5cm with an ARM Cortex-M0 processor, accelerometer and magnetometer sensors, the micro:bit is less a computer and more a single board microcontroller. Albeit one with Bluetooth and USB connectivity, a 5 x 5 LED display matrix, two programmable buttons, and USB-based power supply. But what might you do with it? What projects can be enjoyed? Well, beyond the few that come with the kit (including some music-based activities, such as programming the Doctor Who theme tune into the device), you’re genuinely limited by your imagination. 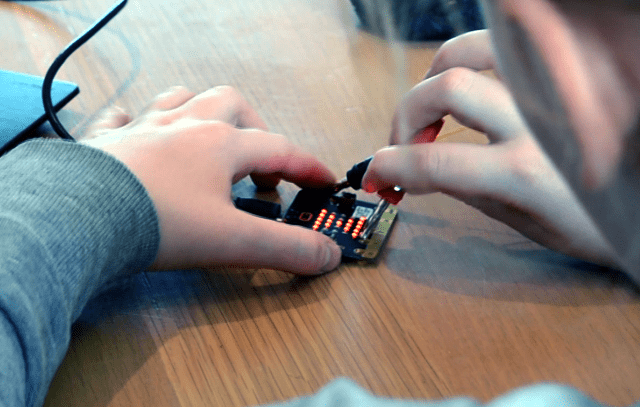 Meanwhile, the LED display matrix turns the micro:bit into a great DIY wearable. For instance, at the BBC Click Live event in November 2017, students from Eastlea Community School demonstrated a collection of their projects, which included a boat (although a different vehicle might be used) locked to travelling in a single direction, stopping when the instruction is countered. Another student, meanwhile, had created a Bluetooth controlled car, using a pair of micro:bits as the remote and receiver, while an Arduino controlled the motors. Similarly, a BBC employee showcased his own alarmed safe, again using two micro:bits (as the key and lock) and Bluetooth. Check the video above, from 25:55 onwards. So, what might you do with a micro:bit? Well, to get started, take a look at this video, where you’ll find some very basic projects using the programmable LEDs. Once you’ve got to grips with that, why not use a pair of micro:bits to control Spotify? Finally, here’s a medical application for the micro:bit, connected via Bluetooth to a heart rate monitor, it can be used to display a histogram of information. BBC micro:bit heart rate histogram from Martin Woolley on Vimeo. So many more projects are possible with a BBC micro:bit as a component, or as a controller. Tell us about yours!